Is Your ID Card Printer Out of Date? It’s inevitable that over time your ID card printer will become outdated. What was the latest model in 2013, could be the next in a long line of discontinued items. Most organisations continue to use their ID card printer long after it becomes outdated until it will physically no longer print, which if you ask us, is the worst way to go about this. Compare this to your car. If you knew it wasn’t driving correctly, would you continue to do so until you broke down? All ID card printers have a life expectancy, but sometimes, a better course of action is to make a change before an issue arises. Firstly, you need to identify if your current printer is out of date, or if it may be in the near future. Every printer comes with a warranty period ranging from two to five years. This is a statement of trust from the manufacturer validating the quality of their machine. If your printer is out of warranty, this is a perfect time to think about trading in or upgrading. Is your ID card printer continually breaking or experiencing problems when printing? This is one of the most common signs that a printer has passed its best by date. Of course, it can be taken in for repair and this often helps the card printer work for longer, but you are only putting off the inevitable and racking up repair costs in the meantime. As time goes on, all printer models are replaced with newer, more relevant models, and eventually the updates for the older models will no longer be supported. At the time of purchase, your ID card printer will cater to all your current needs. But as companies expand, their priorities change and they can outgrow their card printer. You may need additional security protection, or you have rebranded resulting in a more complex design. Perhaps you are printing much larger volumes than your present printer can handle? If you fall into one of the categories above, don’t worry. The cards you are printing may still be doing what you need them to, however, we need to make you aware of the risks of using an outdated ID card printer. Unsurprisingly, having an outdated ID card printer can cause many issues for you and your organisation. We have put together a list of the main problems and risks that arise to help highlight the importance and significance of keeping your ID card printer up-to-date. Most new ID card printer models all have advanced security features, which is not the case for older models. Printer, hopper and ribbon locks have been introduced to keep any printed cards and used ribbons completely secure and to attach the printer to office furniture. Without these new security features, anyone could clone your cards, access used printer ribbons containing sensitive data or even steal the printer itself. As many manufacturers are now producing printers with these security features, it shows just how essential they are. If your printer is out-of-date, the overall quality of the cards might be a lower standard then those printed using a newer model. If you have changed your card design due to rebranding, an outdated card printer won’t be able to handle this new design upgrade and will therefore produce poor quality prints. The same goes for if you have changed the type of cards your using. Access control cards contain a chip inside the card, causing a slight raise, so if your ID card printer it outdated or the wrong model to cater to this, the design will come out blotchy. 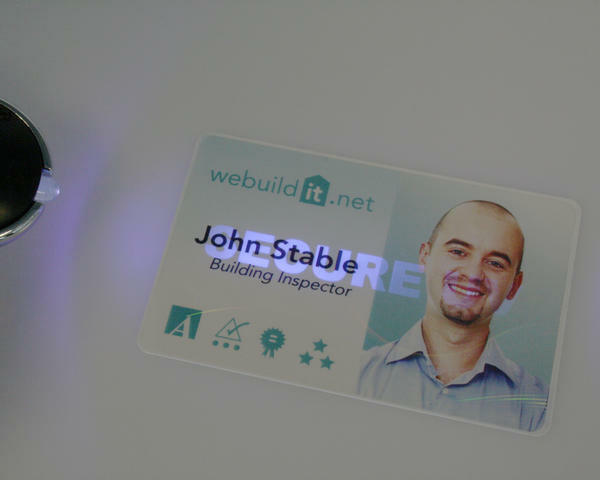 This may not seem like a major issue, but staff ID cards reflect the face of the company, so if they’re poor quality, this will only create a negative impression. An outdated ID card printer can cause you problems due to mounting repair costs. The cost of continual repairs quickly adds up, which could even result in being more expensive than purchasing a new ID card printer. Alongside this, the time it takes to get your printer repaired means you are unable to print, thus causing more issues. This is a big problem in organisations that need their ID card printer to produce visitor passes on a daily basis. When a printer has been discontinued, manufacturers don’t carry on producing the ribbons and consumables for the printer. This means that the supply of consumables is reduced, so therefore anyone wanting to purchase a compatible ribbon will have to pay much more. It is vital to think about how your organisation could be affected by the risks and problems associated with an outdated ID card printer. 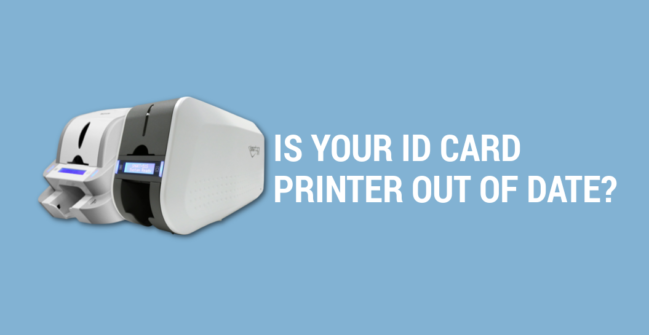 It can seem like a daunting task when deciding which ID card printer is right for you. Do you go with the same model or brand as you’ve used before? What if another model is more suited to your needs? Are you working within a budget? We understand how much information there is to process, so our simple guide will help give you a clearer idea of the factors to consider before making a decision. Don’t forget, we run trade-in deals all year round where you’ll receive money off a new printer, just ask us for more information. Firstly, let’s start with the basics. In simple terms, direct-to-card printers are the most common printer type for basic ID card printing, using thermal heat to print images directly onto the ID card. But DTC only prints edge-to-edge so a small white boarder is visible around the side of the card. Retransfer printers are designed to deliver the highest quality card print possible. It uses a two-step process to transfer your image onto a retransfer film first before adhering it onto the card. Retransfer printers cover over-the-edge printing, so there is no white border and produce incredibly high-resolution cards. 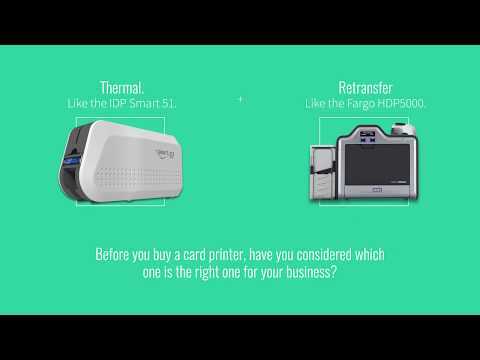 To find out more, we’ve created a helpful video highlighting the differences between DTC thermal and Retransfer printers. Before you decide on the printer type, it is imperative that the design of the card is factored into your purchase decision. Do you have a card design? Is the design likely to change in the future? What card type are you using? Standard PVC or an access control card? If you don’t factor these questions into your decision and go ahead and choose the first printer because the price is right, then we have to make you aware that if the design, card type or technology changes in the future, it’s possible you will need to replace the printer. This will cost you more money as the model you have chosen is not able to print the design, resulting in a poor-quality finish. Once you have decided on the right printer type to match your card design, it is time to look at the finer details of the printer. If you need to print on both sides of the card, for example printing a barcode or text on the reverse, then you will require a dual-sided printer. If not, a single-sided printer will suffice. Most ID card printers come with a standard USB connection. This only allows the printer to connect to one device. If you require connection to a network or several workstations, then you need to opt for an Ethernet connection. The next step is to think about how many cards you want to print annually. If this is a small volume, then look at printers which cater specifically to this. There is no point choosing a printer with a high-volume capacity, and vice-versa, if that’s not what you need as you would just be wasting money on a printer that isn’t right. Every manufacturer now recognises the importance of having a secure, tamper-proof ID card, and so have upgraded their ID card printers, enabling you to add visual security features to your printed cards. Magicard printers now come with a built-in Holokote custom watermark. 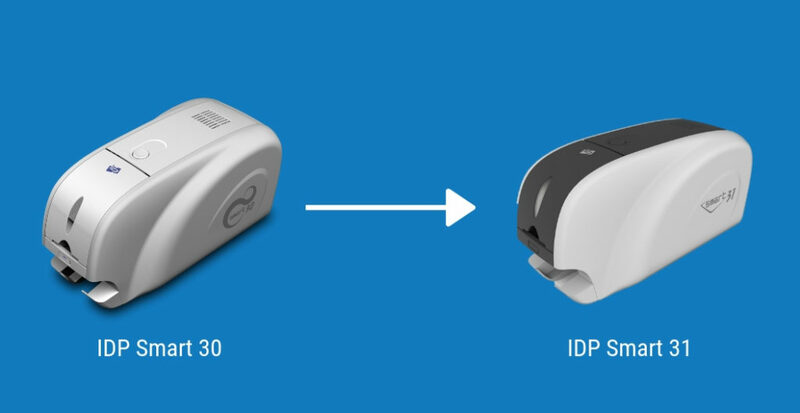 IDP Smart printers come with UV ink printing, and newer models have SmartMark technology as standard. Ask yourself, how easy do you want to make it for somebody to clone your cards? Once you’ve decided on what visual card security you need, it’s also important to think about whether your ID card printer requires any security features. Does it need locks to keep prevent anyone accessing the used ribbon and cards? Providing security for your ID card printer is just as important as keeping your printed cards secure. Each ID card printer comes with a warranty period ranging from two to five years. It is vital to look at this and see whether it is applicable to your needs. If this warranty doesn’t work for your organisation, there are extended warranty plans you can purchase with the printer. As you will need to continue to purchase these ribbons in order to print, you must check if the cost of consumables will fit within your printing budget. Depending on the quality and size, some ribbons are more expensive than others. These are all essential points that need to be taken into consideration when choosing a new ID card printer, but first you need to look at your card design and the printer type to match this. Once all these factors have been decided, it will make choosing your new ID card printer a simpler process. If you require more information, our “Card Printer Buying Guide” explains everything about purchasing an ID card printer or if you would prefer to speak to a member of our team direct, call 0800 988 2095.